Street art style vector illustration of a small weapon. Hand grenade image made out of small dots and abstract shapes. Graffiti vector of the small bomb for all your war, fighting, violence, weapons, weaponry and attacking projects. 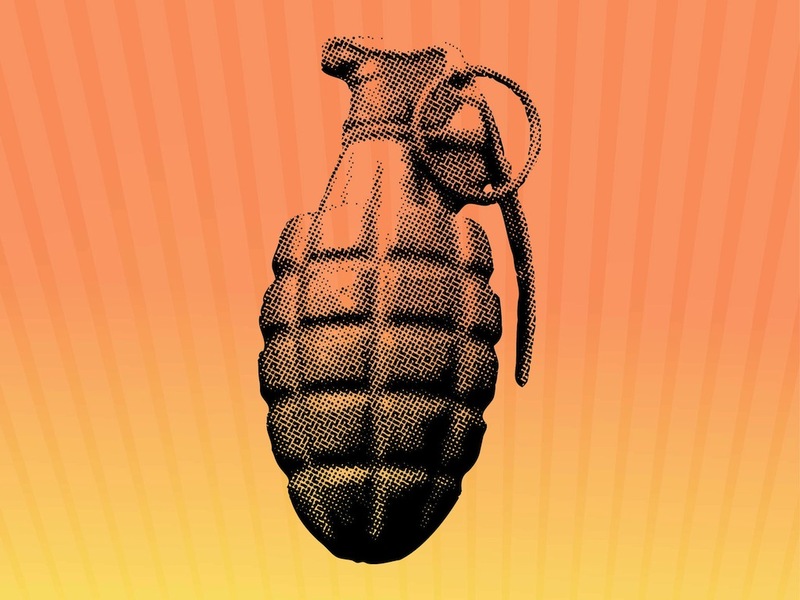 Free vector grenade to use in clothing prints, posters and stickers designs. Tags: Bomb, Dots, Hand Grenade, Military, War, Weapon, Weaponry.